Chief Minister Virbhadra Singh inaugurated the ultra modern Data Centre of Himachal Pradesh State Co-Operative Bank (HPSCB) at the Training Institute of the Bank, at Shangti-Summerhill. He said that with this the State Cooperative Bank had joined the group of elite banks already having this sophisticated facility. 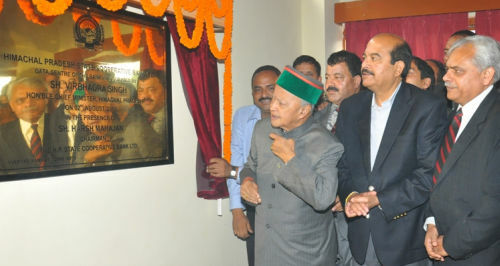 Virbhadra Singh said that this Data Centre set up at a cost of Rs. 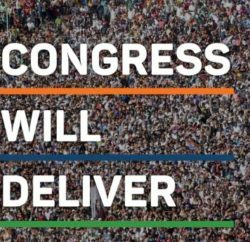 six crore would provide Security, Protection and Integrity of Organizational Data besides ensuring fast leverage to multiple delivery channels e.g. Internet & Mobile Banking. He said that it would ensure Logical Access Control to identified and authorised persons only and would provide protection from hacking and virus threats. He said that it would have automated standby equipments in case of any failure related to fire, water and other natural calamities. Virbhadra Singh said that bank would complete 60 years of its formation on 21st of August this year and congratulated the banks for attaining new heights. He said that the bank was competing with commercial banks and has become first State Cooperative Bank in the country to be completely on Core Banking Solutions (CBS) mode. He said that HPSCB had shown the courage of opening its branches in the interior of the State where other banks hesitate to work and consequently carved a niche in the hearts of people in the State. Chief Minister congratulated the bank for being the first cooperative bank to be on the network National Financial Switch (NFS) by virtue of which customers of the bank have been facilitated to use their ATM cards with the ATM of all other banks nationwide and vice-versa. He appreciated the bank for opening of MNREGA accounts and successful implementing GoI ambitious Direct Cash Transfer Subsidy Scheme. 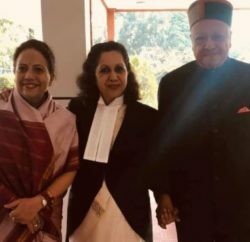 Virbhadra Singh said that other major banks under Cooperative Sector in the State like Kangra Central Cooperative Bank (KCC) & Jogindra Central Cooperative Bank etc. should take inspiration from HPSCB and improve their banking facilities and adopt latest technology &techniques. Chairman HPSCB Harsh Mahajan while welcoming the Chief Minister said that all the branches of bank are working online mode and people living even in remotest area such as Dodra Kwar, Bharmour, Tissa and Pooh etc. are getting computerized banking facilities. He said that bank had a deposit base of Rs. 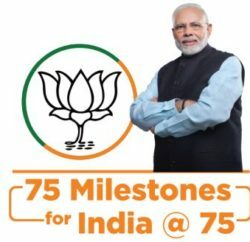 6000 crore and loaning portfolio of Rs. 3100 crore. He said that the Bank had won four national first prizes amongst cooperatives banks. Mahajan said that Bank had paid Rs. 38.30 crore to its employees as new pay scale this year and taken other employees welfare oriented measures. He said that the Bank endeavour to open 29 new branches this year out of which 6 would be opened shortly. He said that the Bank would recruit about 200 employees in various posts shortly. Managing Director HPSCB Amit Kashyap while expressing gratitude to Chief Minister for inaugurating Data Centre apprised that the bank has earned the profit of Rs. 100 crore this year and setup a goal of doubling it in near future. He said that bank would strive hard to get itself included in schedule list of banks this year. A documentary of HPSCB from initial stage upto opening of Data Centre was also shown on the occasion. Chairman KCC Bank Jagdish Sipahiya, Chairman JCC Bank Mohan Mehta, Chairman HIMFED Ajay Bahadur Singh, Chairman Agriclture and Rural Development Bank Devi Singh Jistu, Chairman Baghat Urban Cooperative Bank Arun Sharma, Vice Chairman HPSCB Pitamber Negi, Directors of Co-Operative Bank BoD, Advisor to Chief Minister T.G. Negi, Managing Director Tourism Development Corporation Subhashish Panda, Deputy Commissioner Shimla, Dinesh Malhotra, Director, Information and Public Relations Rajender Singh, Registrar, Cooperative Societies R.D. Nazim, Managing Director HIMFED Rakesh Sharma, Additional Registrar Cooperative Department Dr. Pankaj Lalit and other senior officers of the State Government were present on the occasion.